Last year my niece had a Minnie Mouse themed birthday party and I wanted to bring an appetizer that fit the party’s theme. 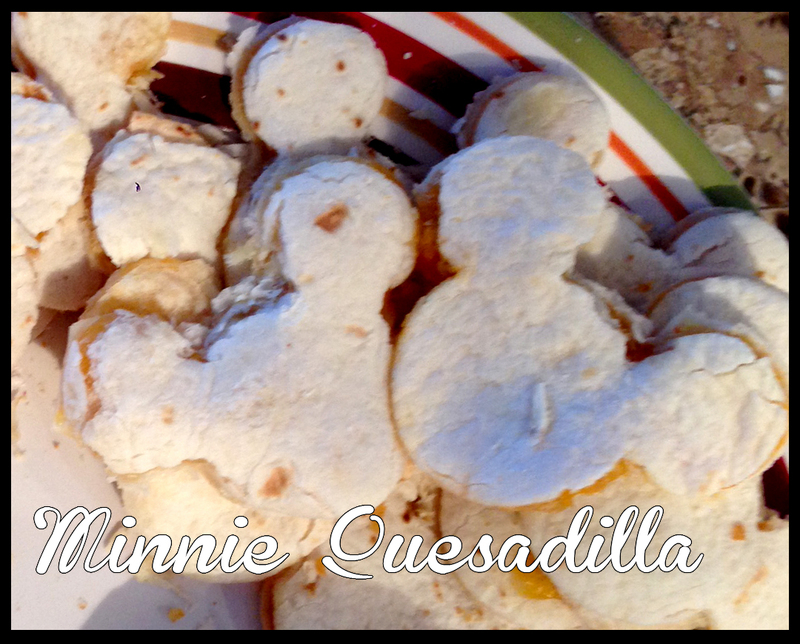 I found a Mickey Mouse cookie cutter on Amazon and thought I would try using it to make some festive Quesadillas. We’re going to pretend it’s Minnie Mouse instead of Mickey. I bought a few large packages of chicken breast and boiled them. Since I have a bad wrist and there was a lot of chicken to shred, I popped them into my stand mixer. It shred all the chicken (in small batches) in a few minutes. Huge time (and wrist) saver! While it was in the mixer, I sprinkled some taco seasoning and spices over the bowl to give the chicken a Mexican flavor. But because it was going to a kids party, I didn’t want the flavor to be too overpowering, so I only added enough to give a hint of flavor without being too strong. I shred a few bricks of cheddar and Monterey Jack in the food processor and layered with the chicken in tortilla wraps. Instead of folding them in half, I used two quesadillas with the filling in between like a sandwich. This allowed more room to cut out Minnies. I spread aluminum foil over some cookie sheets and baked them in the over for a few minutes until I could see the cheese bubbling around the edges. Then I cut them out with the cookie cutter on a large cutting board. Even though it was a metal cookie cutter, it did not cut through the quesadillas easily. I traced around the edges of the cookie cutter with a sharp knife to cut through the wrap. I was able to get about eight Minnies from each quesadilla. This part took some time and there were a lot of scraps left over, which my husband had no problem eating! They were a big hit at the party among the kids and the adults!